Renowned Italian fashion label Valentino continues to wow celebrities and style icons with its lines of apparel, shoes, and other luxury lifestyle products. Reflecting the brand’s design aesthetic, Valentino shoes focus on quality and make, and mix high-quality leather and velvet among other exquisite materials. 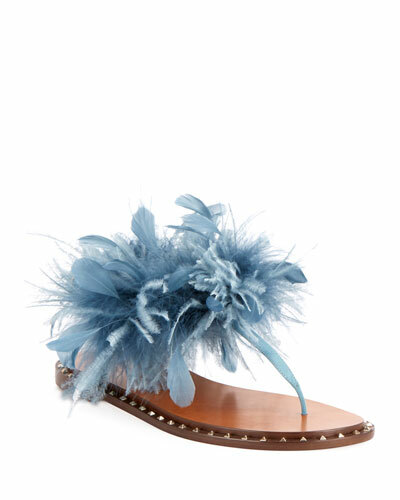 Reflecting Italy’s sophisticated culture, the shoes are elegant, classy, and in sync with the latest fashion trends. 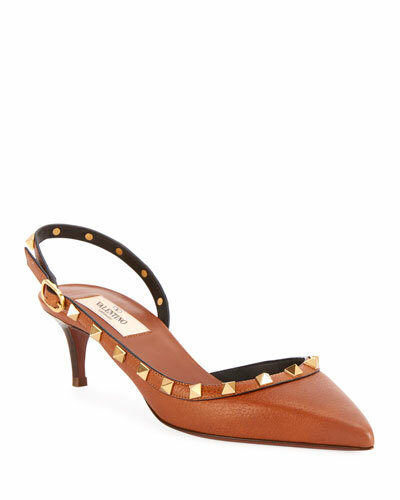 Neiman Marcus offers a stunning selection of Valentino shoes, including its celebrated rockstud range, and Valentino Boots with bold star-studded holograms, pvc sandals, pumps, flats, pumps, and more, in various attractive colors and designs to suit your taste. 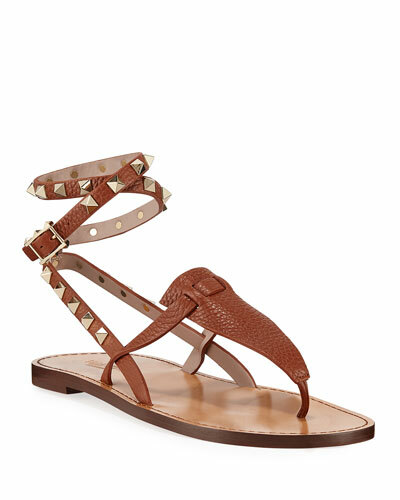 Chloe crocodile-embossed leather sandals with distressed metal detail at upper. 0.4" mixed stacked and leather heel. Open toe. d'Orsay silhouette. 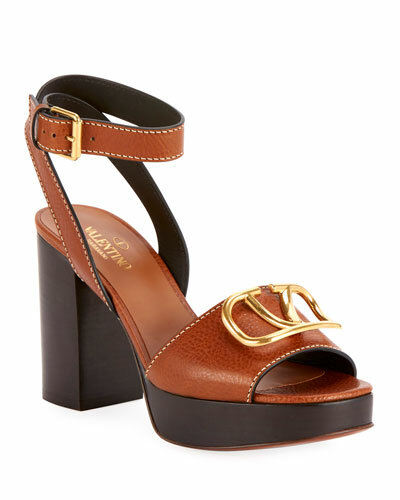 Chloe crocodile-embossed leather sandals with distressed metal detail at upper. 0.4" mixed stacked and leather heel. Open toe. d'Orsay silhouette. Stretch ankle cuffs. Back zip eases dress. Leather lining. Smooth outsole. "Wanda" is made in Italy. 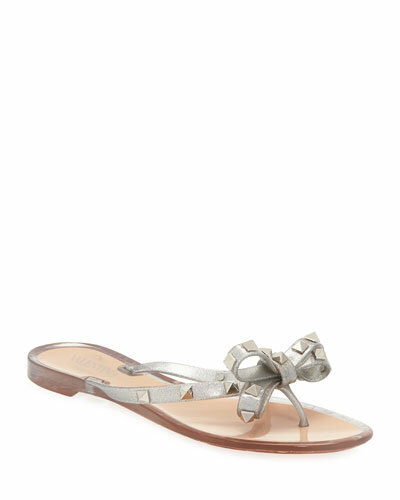 Rene Caovilla thong sandal in satin with multi-cut crystals around the ankle. Flat stacked heel. Crystal-beaded straps and welt. Slip-on style with elastic insert. Signature glittered outsole. Made in Italy.